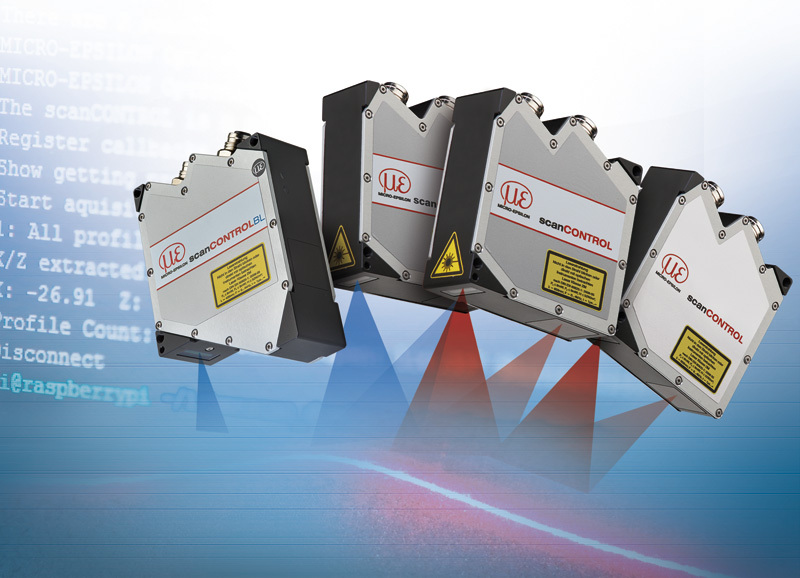 In terms of their size, accuracy and measuring rate, the scanCONTROL series of laser scanners are among the highest performing laser profile sensors in the world. Even the smallest of parts can be measured to the highest precision, enabling a new dimension of quality control. The fields of application are diverse across all industries. Therefore, as well as determining the blade angle of razors, the thickness of potato slices, the completeness of laser welding seams, the position of electronic components and the quality of silicone adhesive beading can also be determined. 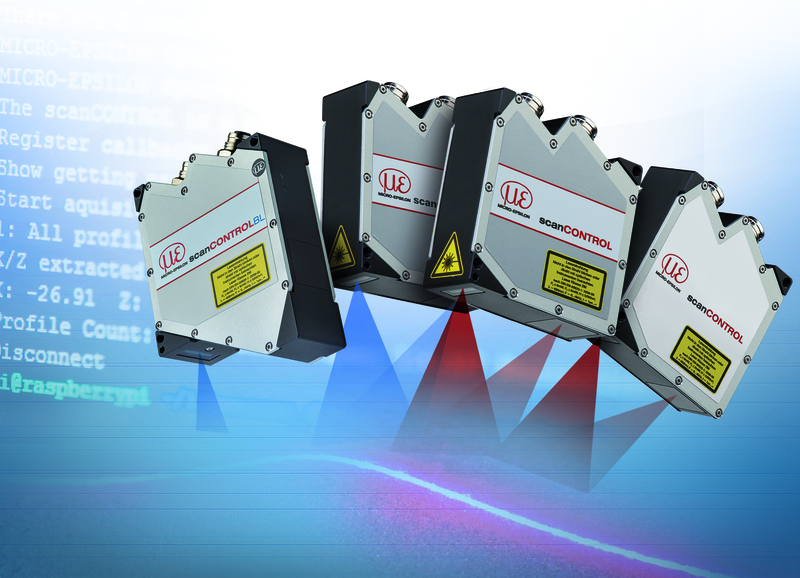 The Micro-Epsilon laser profile scanners are adapted to applications in quality control, production processes and automation. Their operating principle is based on the laser triangulation technique for two-dimensional profile detection. They detect, measure and evaluate the profiles on different object surfaces. In the case of moving objects or a traversing sensor, it is also possible to obtain 3D measurement values. The new scanCONTROL 29xx-10/BL from Micro-Epsilon, part of the laser profile scanner product family, stands out as new product on the market and enables high resolution measurements of extremely small objects. The scanner is equipped with a blue-violet laser diode and projects a 10mm long laser line at a profile resolution of 1280 measuring points onto the measurement object. This results in a point distance of just 7.8µm, which enables the laser profile scanner to provide twice the resolution of previous laser scanners with a 25mm measuring range. The blue laser line used can be projected significantly more sharply than the red one. While allowing higher stability, the blue laser light does not penetrate the measurement object due to the shorter wavelength of the blue-violet laser. Therefore, blue laser sensors enable more reliable measurements on red-hot glowing and organic objects. The new laser profile scanner is used in applications where the highest precision and resolution are required, such as in precision mechanics, electronics, medicine or in the production of precision parts. In the production of tablets and smartphones, the scanner can inspect, for example, the position of logos on the rear side, which have to be flush with the housing. The scanCONTROL 29xx-10/BL is also applied in the production of USB connectors where the gap size has to be determined precisely in order to ensure that the connector fits easily into the socket. The total width of the connector and the relative position of the "tongue" in relation to the outer sides are also critical factors. Since these are mass produced, the scanCONTROL 29xx-10/BL has to achieve inspection intervals of > 0.1 s which must be adhered to. Faulty parts are sorted out via a NOK signal, disposed of or repaired.